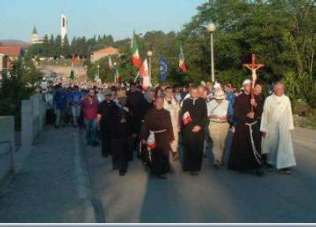 The traditional Peace March was held on June 24, the eve of the anniversary of the apparitions of Our Lady. “The Peace March” is the fruit of an idea born in the hearts of Medjugorje pilgrims and friends of Medjugorje at the time of war in 1992. This 13km-long March is a response to the trouble, violence and hatred, as well as an appeal to real peace and reconciliation. The March began with prayer and the blessing of the pilgrims in front of the Franciscan monastery of Humac. Upon their arrival in Medjugorje, pilgrims gathered in front of Saint James Church for prayer. Our group was privileged to take part in the March. There we were, complete with a huge flag letting the whole world know of our New Zealand presence! Evening Mass/Adoration Programme - What a wonderful finish to an exhausting day! We felt we had earned this Mass and Adoration Programme! The 4-hour Peach March had wearied us, but the Evening Programme seemed fortification for weary bones. The evening Mass at the outside altar (Rotunda) was presided by F.Miron Sikiric, professor at the Franciscan Theology in Sarajevo, and concelebrated by 210 priests. When Mass was over, there was applause. Five visionaries came to the Altar (all but Vicka who was sick) and prayed the Magnificat and seven Our Fathers, Hail Marys and Glory Bes. Around 9 o’clock the Glorious Mysteries were said with the visionaries. This special day started early in the morning for our group. Around 3am some of our group attended Exposition in Saint James Church. Away from the crowds of previous days here, we were able to pray to our God under very quiet and peaceful circumstances. A Mass at 12 noon rounded of an emotional morning of celebration to Our Lady Queen of Peace. The evening Mass took place at the outside altar and was presided F. Toni Vockovic, professor at the Catholic Theology in Sarajevo, and concelebrated by 273 priests from about 20 countries. The homily was by Fr Tomislav Ivancic, the most respected theologian from Croatia. 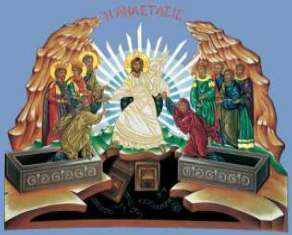 In the morning of 24th and 25th June, Holy Masses were celebrated in 17 languages. 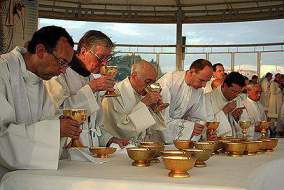 During these two days, 60,000 Communions were distributed. After the Mass, the visionaries read Our Lady’s messages. Our Lady was joyful and spoke of the 7th secret. 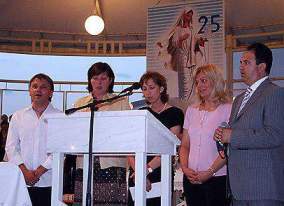 The Cenacolo Community in Medjugorje was established in 1983 by Sister Elvira Petrozzi who wanted to give her life to God through helping addicts. The Community today has 50 fraternities spread throughout Italy and the world and accommodates about 1500 young men and women. The main goal of the Community is to discover and to live true values of Christian life. According to their words, their therapy is Jesus Christ, and the way of healing is prayer, work and friendship. An 80% success rate in overcoming drug addictions is estimated, according to those living in the Community. The Community currently shelters about 100 young men and between 30 to 40 young women, coming from all parts of the world to seek treatment.